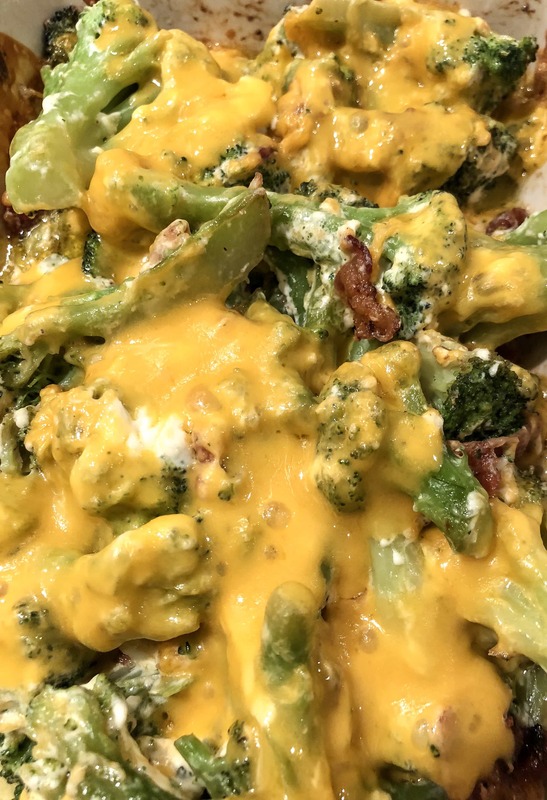 When my husband took a bite out of this keto broccoli and cheese, the first thing he said was “Oh. My. God. This is the best broccoli I’ve ever had. 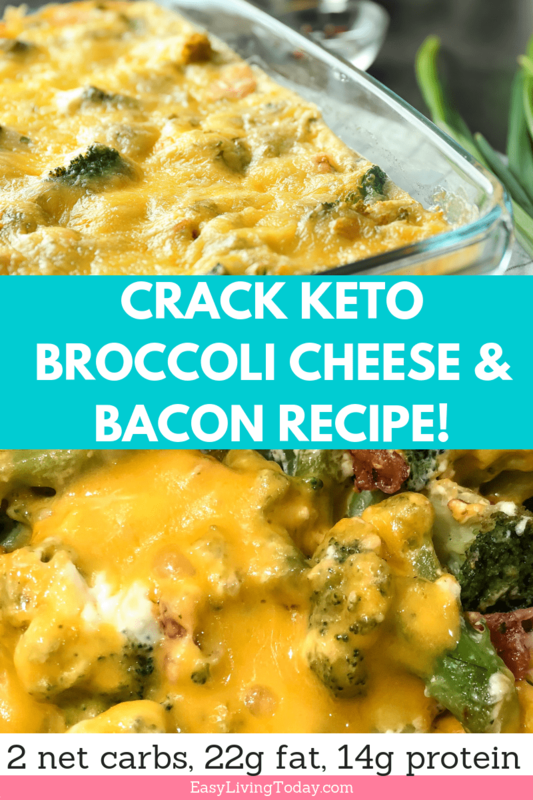 Did you put crack in it?” He’s not even on keto. He has no idea this recipe is keto. He doesn’t even know what the ketogenic diet is. He doesn’t care. He loves it. I love it. My kids love it. You’ll love it. I don’t even like broccoli… don’t really like vegetables, to be honest. But I can eat this all of the time. This is the way veggies should be eaten if you ask me. You can eat the recipe as a side, as is. Or you can even add chicken to it and eat it as a meal. It also reheats real well so it’s great for meal prep too. 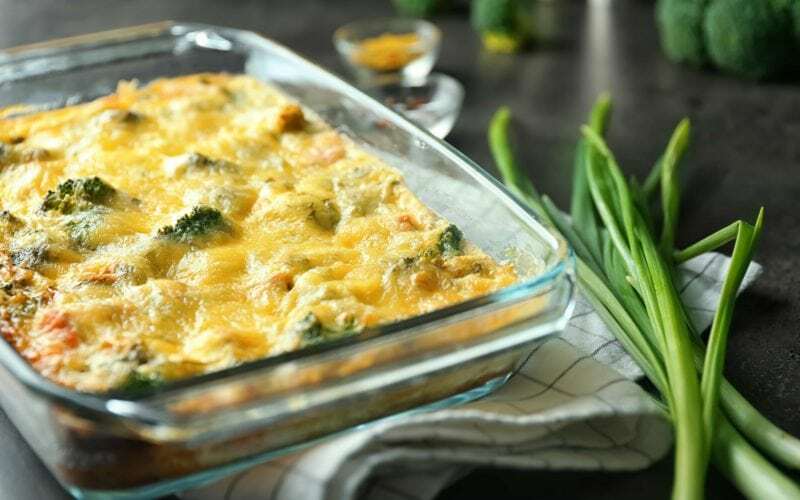 Mix in the cream cheese, cheddar cheese, salt, pepper and bacon. Mix well. Bake for 20-30 minutes, until bubbly.